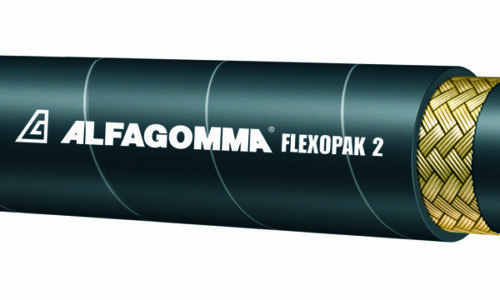 Application: Piranhaflex™ Series PF628 is ideal for general purpose high pressure hydraulic applications with working pressures of 2,250 to 5,000 psi (depending on size). 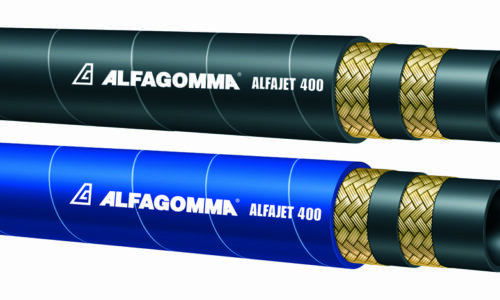 This hose is commonly used in industrial hydraulic construction, material handling, and agricultural equipment. 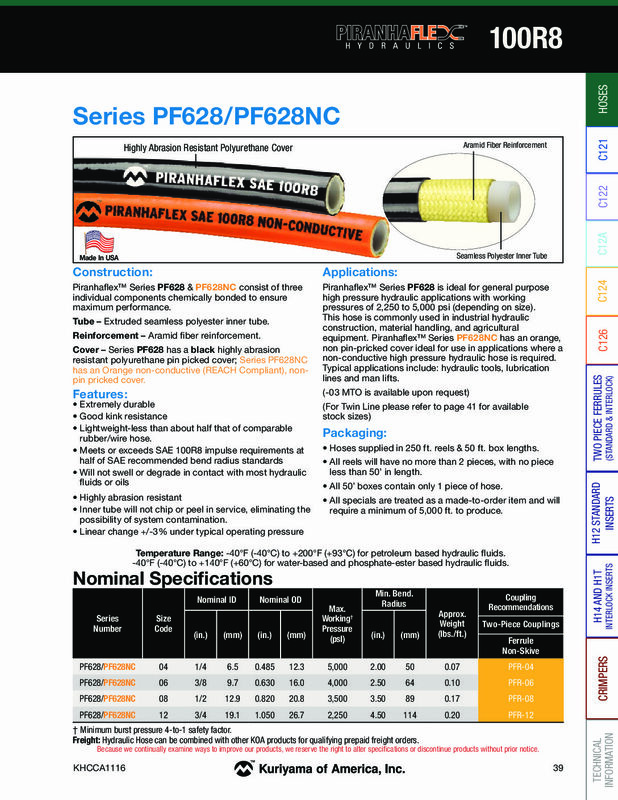 Piranhaflex™ Series PF628NC has an orange, non pin-pricked cover ideal for use in applications where a non-conductive high pressure hydraulic hose is required. Typical applications include: hydraulic tools, lubrication lines and man lifts.